Far up North in the Frozen Wastes of Northrend, tens of thousands of years before the Third War, the Titans built a large housing network of structures known as Ulduar. There, the Titan Keepers, the maker’s very own surrogates, entertain their studies on the dormant Titan Soul they protect known as Azeroth, the very planet from which their rocky bodies were made from. 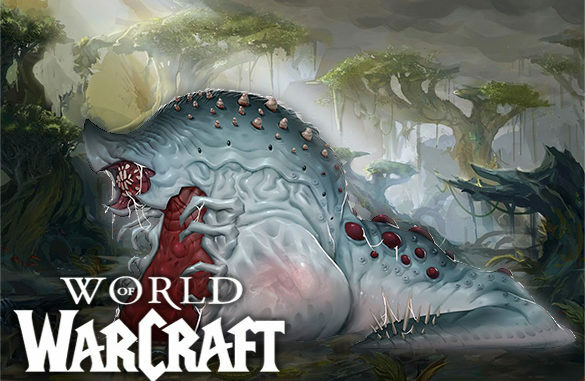 The mysteries behind its creation are not concrete, however the facility is known to do a great many things, such as containing an “imprisoned” Old God known as Yogg-Saron, but also having the great power of being able to reset the entire planet, in a manner of speaking, ridding it of all life from existence so they may start anew. While Ulduar is not the only facility the Titan’s built its true purpose for being built, such to some of the other facilities, are cryptic and possibly never fully explained. It is to be assumed that this facility in particular, since it’s the biggest, could just be the main base for the Titan Keepers as they go about their business keeping the planet from dying. (Which is strange because the events that start BfA seems to possibly be the most devastating event that the planet has endured, and we haven’t seen or heard from Ulduar since the start of Legion…) Currently, Ulduar has been dark since the events of the giant doomed-all fire sword was plunged into its surface, but it is possible that they are just using Magni as a means to connect with the outside world. There is however a shred of new information that we had once thought was forever lost in the canon. I, like many others engrossed in the story of Warcraft, have been absolutely fascinated by Ulduar and the Titans ever since the launch of the raid back during Wrath of the Lich King. So many stories surrounding its purpose and its monolithic sized keepers, always left me questioning the ‘whys’ and ‘hows’ of this brand-new layer of secrets behind the way the World within the game worked. 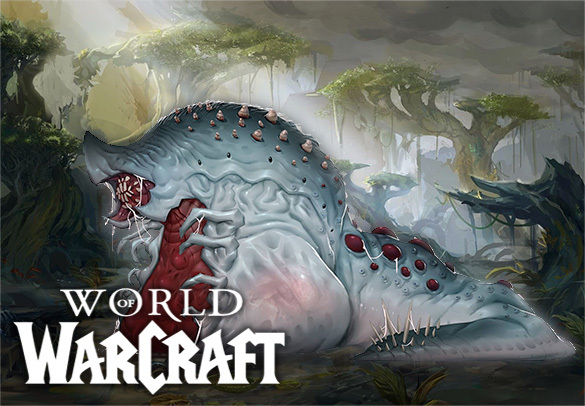 Now this isn’t confirmed canon, but I have reason to believe that Blizzard has finally addressed a ten year old question, and it is one that has been at the top of my list of frustrating plot holes within the story, and if you haven’t guessed of what it is by the name of articles title, then I have little faith of your existence as a human being. It is the super Titan highway, The Path of the Titans, and yes… I brought pictures. 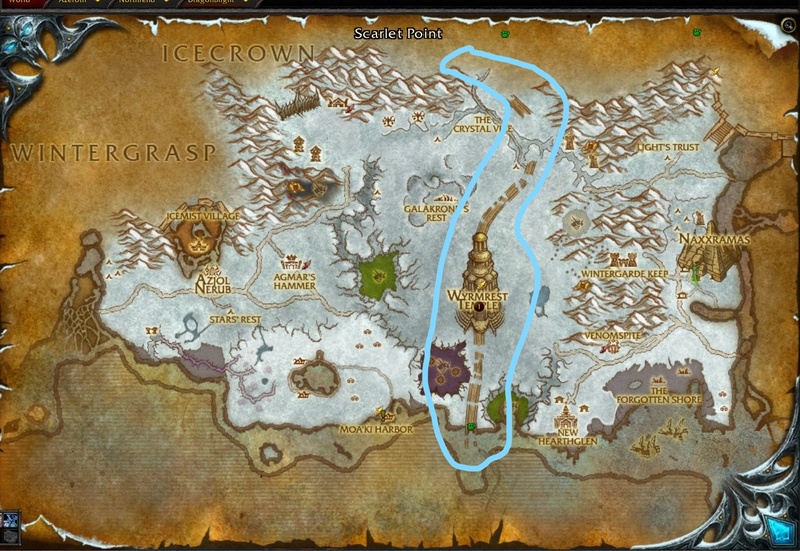 The Path of the Titans (seen above), is a long, crumbling, highway, that stretches from the very gates of Ulduar, that cuts southbound through the entire continent, finally ending into the very icy waters, at Dragonblight’s southern coast, or does it? The problem with the Path of the Titans, and why it bugs the crap out of me so much, is that it’s just there. There is no telling for its purpose or what it’s supposed to connect to. There have always been whispers and rumors. Some have said that it’s a path from Ulduar to Wyrmrest since the Dragons and the Keepers have an understanding of sorts, some now have claimed it was once a bigger network of roads during Greater Kalimdor, that connected all of the Titan facilities together, however little evidence shows of that, since no other roads have popped up anywhere else near Uldum or any of the other major facilities, but there was one last one that has always stuck with me. The road was meant to lead to a secret Titan Facility that imprisoned old gods, and it was reason to believe that this structure had sunken into the water. A fifth Old God. I've been in the industry for 8 years come March 9th, 2016, and I've seen the evolution of it on the front lines, if you will, via the retail side of things. I've always had a knack for writing, anything that I find of interest that is, and I hope to one day establish myself as such. Boring, professional stuff, aside. I do enjoy me some vidja games and nothing does my enjoyment better than when that said vidja game has a big whole extra scoop of lore to create the conspiracy theory of what might come next in the series. It's all a big mystery, and the story and the things that go on in between, help expand our very imaginations from the new beginnings to the epic sagas. More to share later, included the possible addition of my Xbox Live tag, which you'll be able to follow all my latest exploits, and for those of you that have already seen me roaming the lands of the World of Warcraft, from the future or the past, I just wanted to let you know I'm sorry.